In order to be prepared for an emergency situation our first aid signs help readers find the nearest first aid kit or first aid location. Ensure that your staff or customers know exactly where to receive first aid with these clear and informative first aid signs. 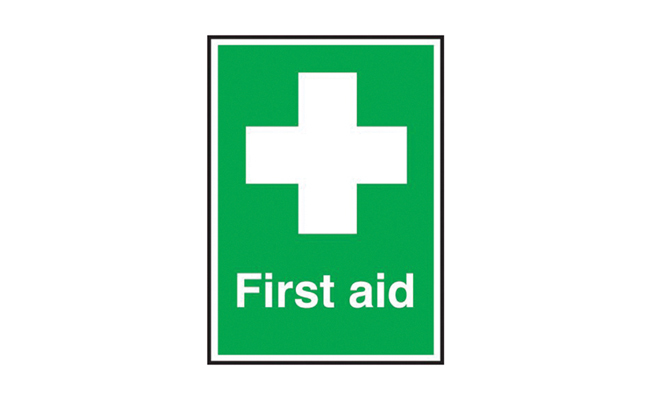 A first aid sign is extremely important for your office or building and also a legal requirement. Make sure your visitors are aware of important information with your safety signs, which are all available online at Pattersons Cleaning And Catering Supplies. From a range of health & safety equipment for businesses. First Aid Box Location Sign.